Home » farm management » X ways to make money off your homestead… How much can you really do? 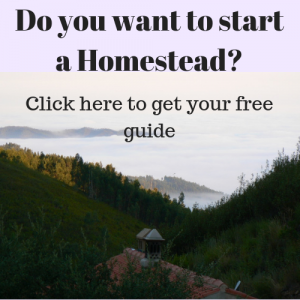 Yes, I do agree that there are many ways to make money off your homestead. From selling eggs to beautiful handicraft. It all depends on your skills and dreams. But to be very honest, it is not so simple. I mean, yes, when you have a nice part time homestead on the outskirts of a city it is a completely different story. I envy you. Don’t get me wrong, this is not about the ‘real thing’. This blog is about trying to make a living in one of those places that have been given up by industrial agriculture. Where people used to have their homestead land practically given by the government. Those places where nobody wanted to go. Where some of us see a challenge to build up something. What was best for us. A homestead is a business. There is only 24 hour in a day. From that 24 hours you need to sleep between 6-8 hours. You will need some time to cook and eat. There are also birthdays and events to celebrate and maybe even a holiday. The time that you can spend on your homestead is limited. Most homesteads want to be self sufficient at least food wise. This also takes a fair amount of time. And then on top of this you need to make money. Earn an income to be able to pay bills or to invest in your homestead, probably both. How are you going to do this? That is a question that keeps us, and also our neighbours, busy. We are living in the south of Portugal surrounded by like minded people who all want to live from their land. We want to eat our own grown food and be able to make money as well. It is not easy at all. As far as I can see it is the hardest part of it all. Aren’t we homesteader not all struggling with it? More or less? The list when we started our project in Portugal was long. I was going to set up meditation classes and my husband was going to keep his job in Holland until we were sorted. In the meantime we were going to grow fruit trees and make jams. And somehow, we didn’t really think how, sell the jam. Then we were going to have our vegetable garden so we did not need to buy food. Make our own baskets to carry the vegetables around. Then we got goats and were going to make cheese. Soon the chickens followed and we were selling eggs. It did not bring in enough so we started a tourist facility. Then we are tired. Can you imagine? It is totally insane. At first we thought to follow the ‘a bit of this and a bit of that’ strategy. Doing so we thought we could just make a living. Well yes, maybe just, very just. Sometimes hardly or maybe not. We struggled with it. There is simply not enough time to divide your attention and investments in so many things. And time management does not help here. Believe me time management is a solution for a different situation. Calculating we were looking what would be the best options. Chickens were not. To make a living from chickens means that you need a lot of chickens. Too many for the land we have. Or go very specialised in breeds. It would take all our attention and a serious plan. That it needs serious calculating and planning is what counts for all the things we were doing if we want to make a living from it. 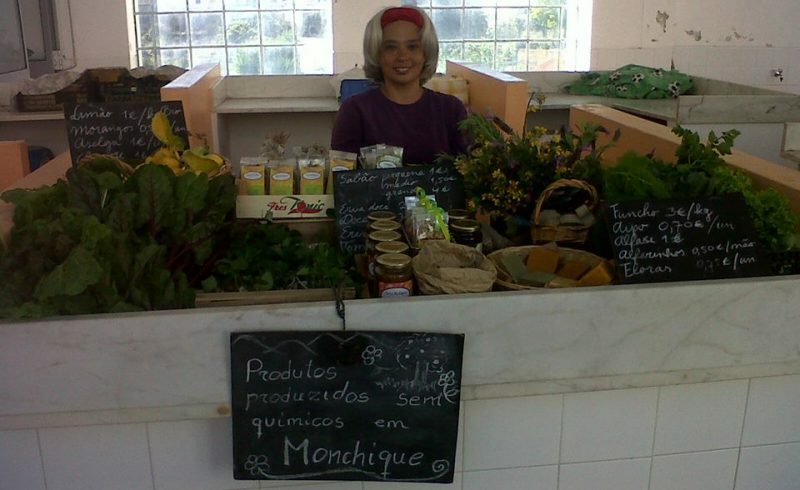 Making a living from producing organic jam meant we had to sell at least 10.000 jars of jam a year. Not in a million year we were going to produce so much fruit. And guess what, there were no organic fruit producers in the whole area. So buying organic fruit to make this production, was not an option either. Okay, you do not need to earn a living only on making jam. Let’s say just for a third. That is still 3000 jars of jam. And about 1000 kg of fruit. And if the jam making would just be a third of the pei it means the other two third have to come from something else. Meaning that you have to invest in two or three projects. Not easy either. Where are you going to get the investment money from? It is already hard enough to get the investments for one project together. In the end we figured out that keeping goats and making cheese and tourism were the best options. Not without any success. Our tourist place is doing well during the high tourist season. And it provides us enough money to live from for about halve a year. The cheese I sell to friends and members of an association I am a member from. I can still not sell it openly to everybody. Hopefully I will manage to make my own cheese kitchen. It was good to narrow down our economic activities to these two…so far. And to narrow down our activities on the whole as well. We are still extremely busy though. But I guess that is how we are. We still have a few chickens for our own eggs and produce our own veggies. And there is still the land that needs maintenance. But, but, but. Both areas, cheese making and tourism, are heavily regulated in Portugal. Even worse every so many years the regulations change making is also into a risk to just invest on these two areas. Sometimes the rules are so complicated that they are not entirely applied, but those areas where rules are applied or not are shifting all the time. It kind of drives me crazy. Although I must say that some people in our local government have their heart at the right spot, they try to support us where they can. We used to build everything ourselves. At a certain moment we were so occupied by running our daily jobs that it was not possible to continue doing everything ourselves. For many years we had volunteers that helped us out. But even that became quite a big time investment. We had people living here, that in the end couldn’t or wouldn’t work that hard. There we are. Building up a business that is under constant state attack on one side and with too little hands to make a leap to the next level. And the main problem, no investment money. Getting investment money and gaining time is going to be our next challenge. The next step for me is to try to make money through the internet. It is the very reason I started blogging on our website. The idea is to make enough money to hire in services so things can get done and build. It is a step that many homesteaders make, as I have found out. And some are really successful. I hope I will be too. In the end I think running a homestead is pretty much like running any business. Lot’s of business and organisational principles and practicalities are applicable on a homestead. It sounds all a lot less romantic than selling small handy crafts and eggs, but I think it is the reality. I worked for years as a project manager in an NGO. Also together with my father I ran an import business in organic goods in Holland. Lot’s what I have learned in those years comes in very handy now while we try to build up our homestead. I guess the idea that you can escape from all the things that you have been involved in is not true. It just sticks to you. And sure selling beautiful homestead handicraft or selling eggs could be an excellent business for a homestead. Do you want to know what we are doing on the farm? Follow our facebook.